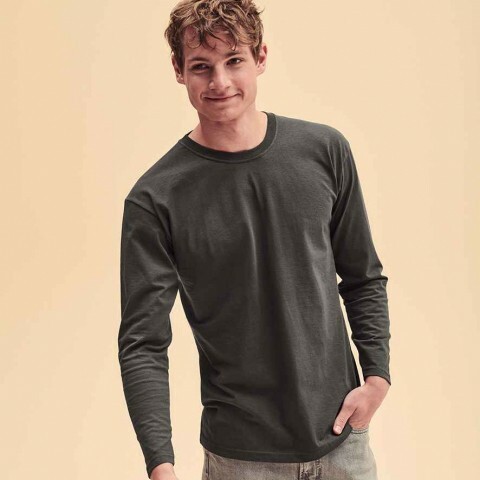 Fashionable finish or just looking to keep your arms a little warmer, our branded Long Sleeve T-Shirts are here to save the day. 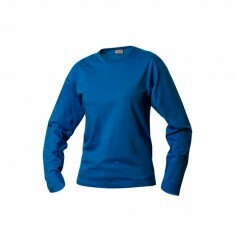 Promotional Long Sleeve T-Shirts not only make fashionable retail worthy products but also great uniform for those chillier months or anyone who is prone to getting cold. Our collection of customised long sleeve t-shirts are available in a wide variety of colours and both mens and womens fit, all of which can be personalised via either embroidery or printing. Whether it’s a thick heavyweight material you’re after or something lighter for the summer months, you’re sure to find a suitable a custom printed long sleeve t-shirt to suit your needs in this range. 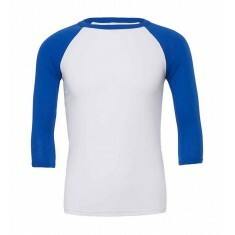 Designed with baseball style ¾ length sleeves, our custom printed Bella and Canvas ¾ Sleeve Baseball T-Shirt is one of the most stylish in our range. Available in 18 different colour combinations, you’re sure to find one to match your event. 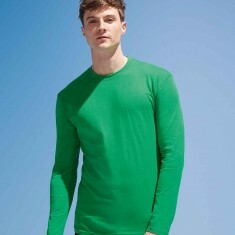 If solid colour is what you’re after, we recommend the customised B&C Men’s Exact 150 Long Sleeve T Shirt. 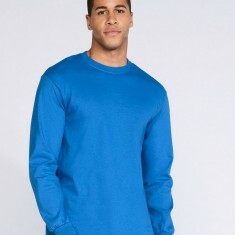 Made from preshrunk 100% ring spun cotton, you can rest assured of this garments high quality. Intrigued as to how your design would look when the garment is personalised? Call our sales team today and we can draw up a free of charge visual for you. Belcoro material. Soft touch. 160gsm. Customised with your design. 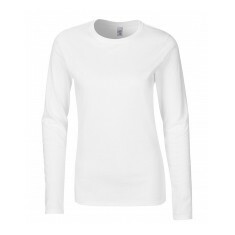 Stay warm and stylish with our custom branded Gildan Ultra Heavyweight Long S.. 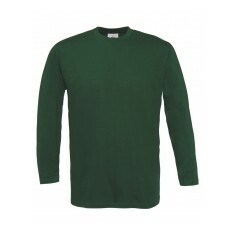 Achieve a strong corporate image with our branded B&C Men's Exact 150 Long Sle..
100% cotton preshrunk jersey knit in deluxe Softstyle yarns. Feminine cut and ..
100% ringspun cotton. Lightweight material. Men's and Ladies fit available. Ringspun semi-combed cotton. 150gsm. 11 colour choices. Embroidered or printed. 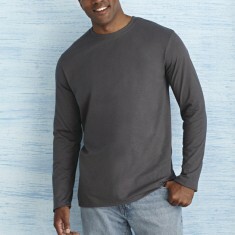 Functional long sleeved t-shirt produced in 100% pre-shrunk combed cotton. Wei.. Fashionable fit. 122gsm. 52% ring spun cotton, 48% polyester. Range of contrast colours. 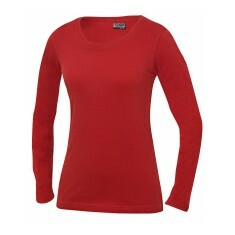 Ladies fitted round neck long sleeve stretch t-shirt. 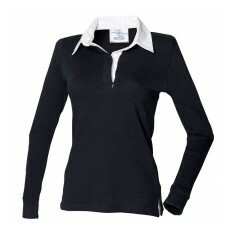 Made from 95% cotton, 5%..
Long sleeve Rugby shirt in 100% cotton jersey.